CAMDEN — Look around Camden and see lots of ways that the town has benefitted from the ideas, efforts and commitment of our townsfolk. Our Bicentennial Celebration on Saturday, Sept 1, is just one example and for as far back as we can trace in our 200-year history, innovative thinkers and entrepreneurs with a dream or a plan have made Camden what it is. All it has taken, then and now, is someone to see a need and then to set out to meet it. In May of 2006, a few concerned citizens joined forces to revive and restore the old Orchard Hill cemetery located on Route 725 West. 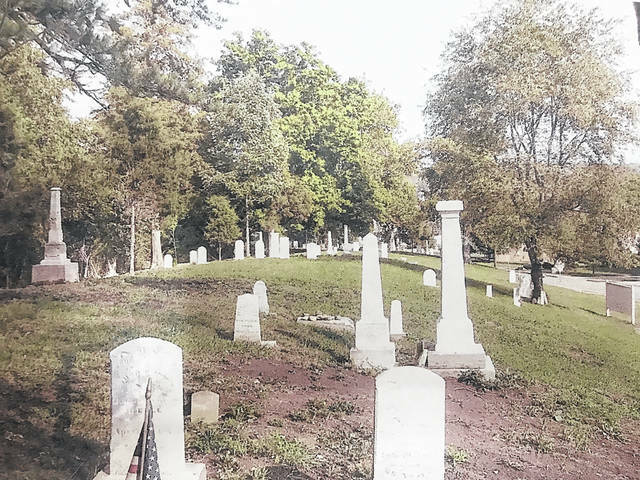 Camden residents Harvey Weherley and Steve Blevins recognized the need and started a restoration committee that would raise the funds and do the work necessary to restore the cemetery to his rightful, maintained condition. Once they began the work, it wasn’t long before others in town noticed and joined in. The restoration and re-erection of over 100 neglected stones took several years to complete, but now the cemetery is a respectful, well-maintained, beautiful area of the community. Many other community organizations have formed over the years to aid our town in its time of need. When inspectors threatened to close the beloved Town Hall (the home of dances, meetings, concerts, recreation and other community events) in 1933, a group of concerned men formed the Camden Progressive Club to renovate the building and bring back up to code, including constructing a fire escape on the outside of the building. Understanding the building’s importance to the townspeople, it was also the Progressive Club who repaired and restored the Town Hall after its first fire in 1938. In 1992 The Camden Area Historical Preservation Foundation (CAHPF) set out to save the town hall once again. When two levies failed — one to save the town hall and the second to raze — the town council was left confused on just how to proceed with the uninhabitable building that caught fire in 1988. The CAHPF held fundraisers, solicited donations and raised funds to get new roof installed on the building in 1997 to prevent further damage to the building until a decision could be made as to its outcome. In 2015, the village council breathed new life back into the project. They voted to seek funding to restore the structure to its former glory. In May 2017, the restored and renovated town hall was re-dedicated and is now home once again to the village’s administrative offices, the police and water departments as well as the Camden Archives. 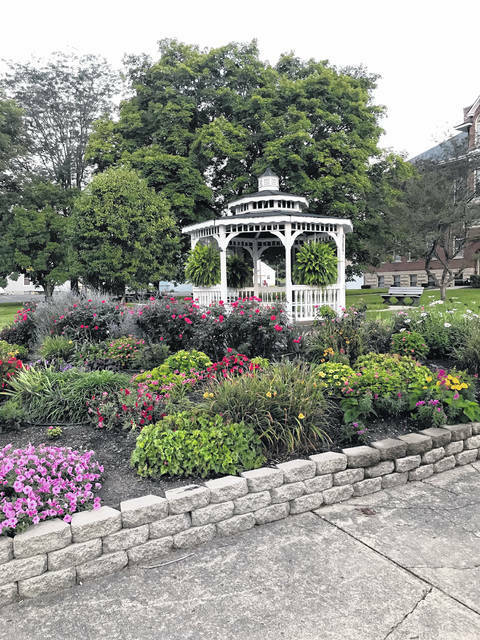 The Camden Beautification Committee is responsible for all the beautiful flowers all over town as well as many other projects that have improved the appearance of Camden. Founded in the early 2000’s, the committee strives to make improvements funded completely by donations. They raise money through private donations and they also hold an annual garage sale in which items are donated and sold with all proceeds going to help beautify our town. The Black Walnut Festival Committee has been going strong since its founding by the Camden Chamber of Commerce. Every October, the festival brings people in from all over that helps boost the village’s economy. There is something for everyone at the Black Walnut Festival including crafts, vendors, entertainment and food booths as well as plenty of fun for the family. The festival is still going strong 30 years later and we look forward to many more years to come. And just like all these great folks, the members of the Camden Bicentennial Committee and others have worked hard for the last 18 months planning several events to celebrate Camden’s 200th birthday. They held Haunted Tours in the fall 2017, a Camden Business Appreciation Day in the spring, and a 200th birthday party on the actual anniversary of the date the town’s paperwork was filed in July. The main Bicentennial Celebration event is scheduled for Saturday, September 1st with lots of free family fun for everyone. Events include a morning 5K Run, parade, antique street fair, classic car/truck show, and old time crafts, games and contests for the whole family (seed spitting, sack races, longest beard, longest pony tail, hula hoop and jump roping, just to name a few). They will have lots of food and entertainers throughout the day, capped by a performance of the U.S. Air Force Band of Flight beginning at 6:00 that evening. These are just a few groups (there are too many to name) that have gotten together over Camden’s 200 years to make the town a great place to live, work and raise a family. All of the wonderful hard working groups of citizens have taken their interests, talents and time to create new ventures and make improvements to Camden over the years. Another group is being formed now to continue these efforts and momentum. The Camden Comeback group will serve as a channel of communication to build a sense of belonging and to promote involvement in the community, and will help create a sense of “we” by sharing our history and heritage. The group will work to attract businesses to Camden and to aid economic development. Goals of the group include organizing community events and creating programming to encourage social interaction. They hope to optimize delivery of needed services and opportunities to Camden’s residents, and will assist in the development of facilities that will enhance life in Camden. Would you like to make a difference in Camden? If so, please send an email to CamdenComeback45311@gmail.com. It takes a village, sometimes, to make a difference. Together, we can make a difference in Camden.